This case study was originally published by Revenue River on 1/14/2019. 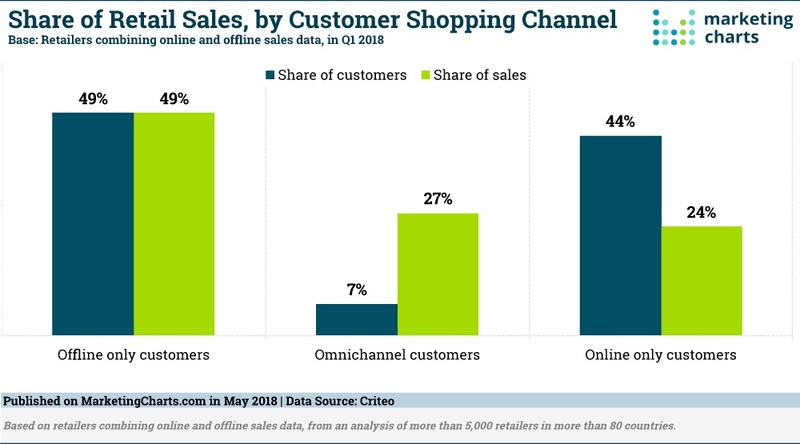 Businesses are looking to improve their online presence and create a seamless, integrated experience in this ever changing omnichannel marketplace in which consumers shop. 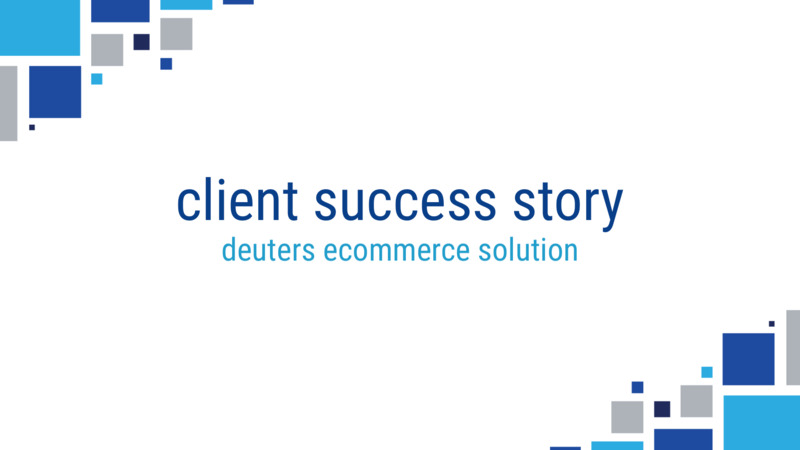 Deuter USA sought to leverage its existing assets to create an improved e-Commerce experience. The process and outcome of this effort created an opportunity to create a case study that can serve to assist other brands with their efforts to modernize their e-Commerce platforms. Successful e-Commerce case studies can be useful in evaluating approaches to challenges and opportunities you may be evaluating. The customer now comes first. In a soft goods industry that was once dominated by big names and brick and mortar stores, the e-Commerce revolution has shifted purchasing power and control of choices to end users. Customers are demanding more options, more communication, more accessibility, and companies are scrambling to keep up and earn their business. The brands that are evolving and listening to their customers are leading. Those adept enough to make the switch don't necessarily have it easy - they have a rocky road of challenges to work through so their online presence delights and enhances the customer's purchase experience. Our conversations sparked the idea to create a completely integrated online experience for the United States market. The challenge: to build a fully integrated ecommerce system including marketing and inventory connectivity, while adhering to the established brand and approach of the international organization. Knowing the challenges at hand, we began to map out a system that would allow Deuter to launch their new web presence. The store itself would need to be only accessed through "pro" accounts. 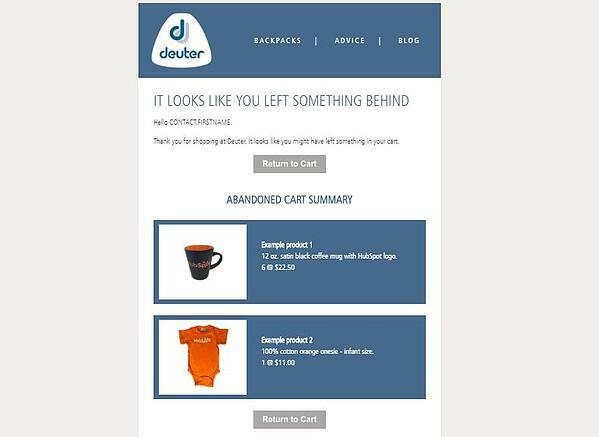 An everyday site visitor would not be able to purchase online from Deuter, but still be directed to an appropriate retail partner. The complexities of this split distribution channel required a nontraditional approach to their entire system. A consumer brand's website is its heartbeat. 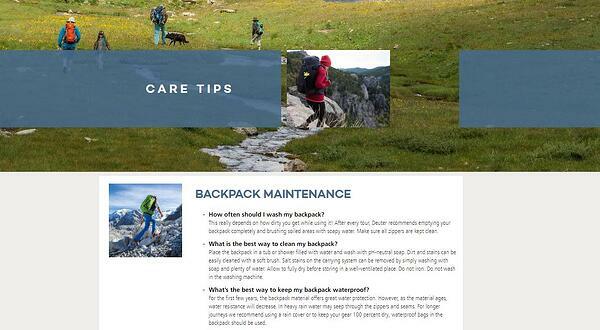 Deuter's site showcases their entire line of products and guides the user to find the right pack for their adventure. It was key to continue assisting shoppers as they work their way through the site, answering questions and providing information along the way. On top of that, we needed to make it easy for anyone on their e-Commerce team to quickly make changes and updates on the fly. The need for ease of use, customization by team, and the ability to connect new and existing platforms led us to Shopify. 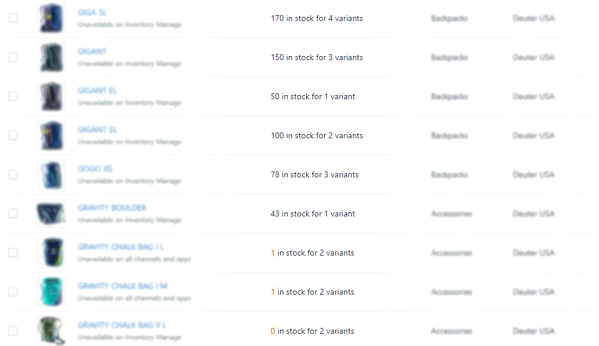 Product findability - with over 200 products, it would be easy for the consumer to get lost. We created a tagging system inside Shopify that allows filtering by fit, activity type, trip length, and price. The filters can easily be added and removed from each product. Professional account launch - since we have a focus on pros and ambassadors, we require accounts to see prices on the store. Using a custom coded solution inside of Shopify, only those invited and approved are able to purchase from the store. Non-professional accounts can still view and access the store, but lack the ability to see prices. Order stage tracking - integrating Shopify with HubSpot allowed us to see where all orders are at all times inside the e-Commerce pipeline. Order stages inside Shopify are synced to the e-Commerce pipeline inside of HubSpot. If Shopify is Deuter's heartbeat, HubSpot is the brain. To get the full use out of contact data coming from Shopify and to maximize marketing automation for revenue growth, we needed a marketing automation platform that could seamlessly connect to our e-Commerce store. This included building from the ecommerce data already available in Shopify, intelligently communicating with customers and contacts using that data, and continuously growing the contacts inside of our flywheel, all while operating under one common roof. Without the unification of the entire marketing suite, the e-Commerce piece of this system would be operating with its hands tied behind its back. The need for HubSpot's robust marketing capabilities was obvious. Paired with e-Commerce functionality inside of HubSpot, we built our system inside of a connected framework that fully utilizes every aspect of the platform. HubSpot/Shopify native integration - we made full use of the Shopify to HubSpot integration. As a new integration, it unlocked capabilities that previously required custom developed solutions. Once installed, we then had access to e-Commerce reporting, e-Commerce automation, and the e-Commerce pipeline with insight into products, orders and deals. E-commerce data inside of our marketing platform, and the ability to use that data to customize marketing communications, is a revolutionary capability. Database segmentation and management - a B2C database is often much larger than a B2B database. We brought over contacts from their old email service provider, giveaway lists that had not yet been contacted, and lists of customers to centralize all contacts inside one database. New contacts from Shopify are automatically brought into HubSpot with the native integration, along with corresponding data so that they can be segmented into smaller, marketable groups. Ecommerce email automation - we designed and developed new email templates - using HubSpot e-Commerce best practice - that dynamically pull in order data, abandoned product information, and other behavioral data to truly customize communications with contacts. E-commerce pipeline and reporting - tracks all orders by where they are at in the purchase process, and then report on them inside of HubSpot. The e-Commerce dashboard inside the reporting tool is supplemented by lists that report on the ROI of marketing efforts. The reporting tool makes HubSpot the central point of truth with insight into both sales data and marketing data. Service Hub - we built a complete ticketing system inside of HubSpot Service Hub to track the progression of an incoming new warranty ticket, to the repair of the product in the warehouse, to the point that the customer is returned their product. Using board view, a team member who is removed from the day to day can get a glimpse of the tickets currently in process. Service Hub reporting now gives Deuter insight into customer service and satisfaction metrics for the first time in company history. This e-Commerce system is flexible for the changing needs of the customer, agile for team control, and capable of giving customers the microphone. It's armed for flexibility, built for growth. 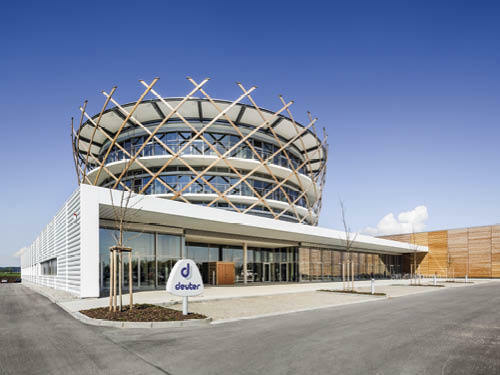 Hear from Jenny Fischer, Deuter's e-Commerce Strategist on the challenges faced in this taking on this project and how Deuter is positioned for future growth. Deuter's steps to build an e-Commerce system that is truly connected to the customer surges them to the front of the pack in the outdoor industry and beyond. The digital arsenal they're now equipped with positions them to launch a cohesive online presence, and their understanding that the customer matters most is the juice that powers their decisions. Working together, we've taken their existing system that they were grandfathered into and mapped a clear path forward into the next generation of digital.